After graduating in the science field…. Looking for master courses in the same field? Master of Science is a master’s degree awarded by universities or colleges for studies in a specific branch of science, technology, mathematics, etc. Usually, it is an academic degree which is higher than a bachelor’s degree and lower than a doctoral (P.hD) degree. In India, M.Sc degrees are generally related to science field while in UK & USA, M.Sc degrees are for all science, engineering and technology programmes. In history, Bologna Accord was a major step taken by European Countries to unite the different types of education across Europe’s many universities. M.Sc is the postgraduate degree programme in Science which enables the students to use their knowledge in different areas. 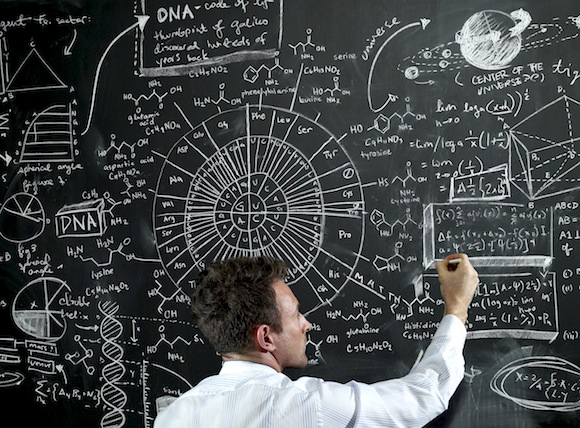 After completing bachelor degree, you can pursue a master degree in science. It is the best choice for science graduate students. The scope of M.Sc is very much demanding & you can gain a respectable job in this area after completing the programme with good grades. There are various specializations that one can pursue in M.Sc programme. In each and every specialization, opportunities are available in Medicine, chemical, petrochemical & Polymer industries. After passing master degree in science, you can go for a research study in top organizations such as BAARC, ISRO, etc. You can also work in a government & private sectors in various technical & non-technical posts. Students will get admission into the Master of Science (M.Sc) programme after completing their bachelor degree. You can opt the courses as per your interest. There are various specializations in M.Sc programme. M.Sc is a two years duration course with four semesters. Students can pursue this course after completing their graduation. Students have to secure minimum 55% marks in the qualifying examination. Age limit criteria are not applicable to this course, anyone can study this course after they finish their graduation or even at a later stage. For admission in M.Sc students are required to clear the entrance test. Some universities provide admission without any entrance exams i.e. on the basis of academic performance and Personal Interview. Generally, M.Sc degree holders specialize in a particular field. They can move into various jobs according to their studied field. This course has a great scope & there are various opportunities available for the M.Sc graduates. At present, M.Sc degree holders in Physics, Chemistry, Mathematics and Information Technology are high in demand. While other fields are also in demand in private sectors. An M.Sc degree holder can work in both government & private sectors. An M.Sc degree holder can work in various fields like education, defense, public sector, automotive and aerospace industries, healthcare, materials, technology, computing, energy and information technology. Some colleges and universities appoint M.Sc. degree holders as a professor or lecturer. They can also perform research work in various industries. After completion of your degree in M.Sc, you can also go for the further higher studies such as research programmes or Ph.D. courses. Students who complete M.Sc in Physics with high percentage can apply for jobs at NASA. M.Sc in Mathematics graduates can work in different government organizations such as DRDO (Defense Research and Development Organization) & ISRO (Indian Space Research Organization). There are lots of opportunities not only in India but also in foreign nations for M.Sc graduates. An M.Sc degree holder can earn an average salary of Rs.25k to Rs.35k per month. There are many companies in both sectors which offer a higher salary package to M.Sc degree holders. Salaries will also depend upon the working field, size of company, sector, location, qualification and many others. Good experience in this field can help you to get a handsome salary package. For more information regarding Master of Science (M.Sc), ask your queries below. Is it feasible if i choose msc in space science rathr than msc.chemistry for post graduation? What is the scope for Msc.Zoology/Msc.Chemistry. And what are the job opportunities and its pay scale. I am study in T.Y. b.sc with botany. Can i do m.sc. in forestry? Hello sr,I completed my M.Sc. in physical chemistry. I wanted to b.ed but unfortunately I dint filled d form. So can u guide me what to do beside industry Jobs and teaching (PhD or lecturer). Moreover can I get job in forensic dept.? Or what other studies I can do except PhD or clearing ol GATE , NET exams. I can’t choose one…..which one is better for job M.Sc. in physics or M.Sc. in maths? I complete my b.sc this year but i am confused in taking maths and physics as my main subject in m.sc . How can i take out this problem . Hello,I m in b.sc med. Final year which course in better to do in m.sc which has more scope…..
Hlo sir,I want to join MSc in forensic science,and now I am persuing BSC in biotechnology…then MSc is possible from forensic science or no??? Hlo,I am in b.sc n.m final year…I don’t know which course is best for me….Can u plzzzz tell me which course is better in m.sc,which has more scope….BTW I am thinking to do m.sc mathematics …Is it beneficial to do??? Hlo, I am in b.sc n.m final year which course is better to do in m.sc. which has more scope….I am thinking to do m.sc mathematics…Is it good option for me???? A B.Sc Student can do but i have done B.E and want to get forward career in M.Sc kindly how can i proceed for the same. but one of my friend already doing M.Sc in physics and same i want to proceed but its through JAM….??? you can opt for M.Sc in IT. Sir I m student of bsc medical final year which course is better in MSc .tell me which course have more scope. Presently I am pursuing “Bachelors of Vocation in Food Processing and Management”. Can you please suggest me the list of colleges or universities where I can pursue “Masters of Vocation in Food Processing and Management” and further look forward to a good job. Sir,I am studying bsc.BZC first year.I am very interested in ecology.If I do my MSc in ecology can I have good job opportunities in govt or private sector? We have listed some of the M.Sc courses over their. You can share your field of interest with us and then we will guide you accordingly. Sir, i am doing M.sc in zoology. 2nd sem is running, And my job interest in science technology nd other science related fields.Can u guide me,In which field, i should make my future bright after complete m.sc…?